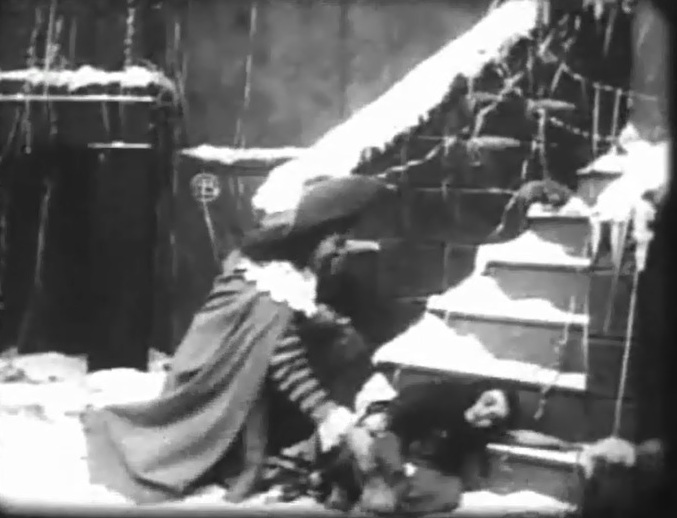 "The Golden Louis" is a short drama directed by D.W. Griffith. The film is included in our program to illustrate the work of Arthur Johnson. There is some uncertainty about the cast of this film. 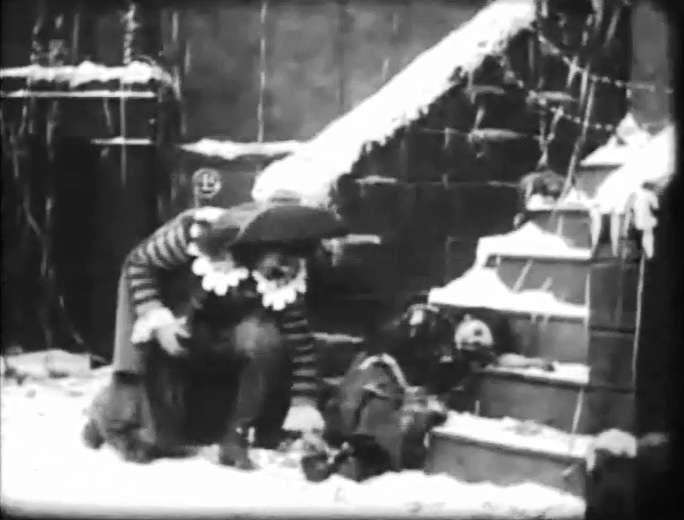 It was released in a split-reel with "The Politician’s Love Story" (1909), for which cinematography was done by G.W. Bitzer and Arthur Marvin. So there is no reason why these two should not have done the same for "The Golden Louis". However, some sources show only Arthur Marvin, while others put a question mark by the name of one or both cinematographers. Thus, until the issue is clarified definitively, we will give credit to Arthur Marvin. There is also uncertainty about which actress plays the beggar girl - Adele de Garde or Gladys Egan. Also, some sources give credit to Florence Lawrence, but it is difficult to spot her. These two revelers appear to be Arthur Johnson and Florence Lawrence in "The Golden Louis" (1909), directed by D. W. Griffith. Charles Inslee takes the coin from the shoe of the beggar girl (Gladys Egan?) in "The Golden Louis" (1909), directed by D. W. Griffith. Charles Inslee returns his debt and a lot more to the beggar girl (Gladys Egan?) 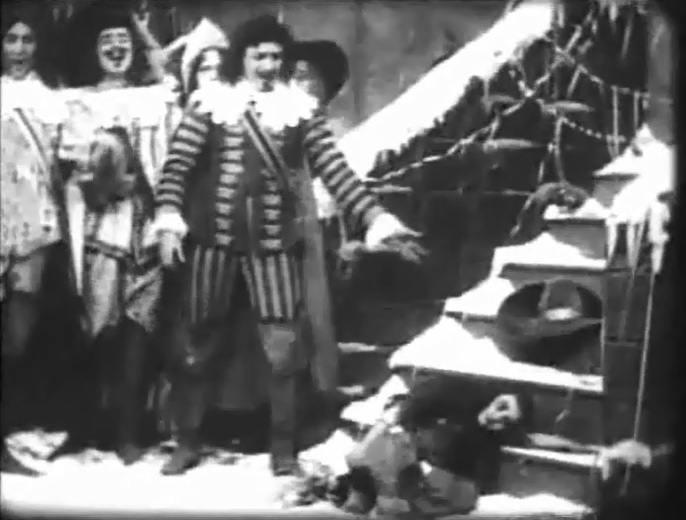 in "The Golden Louis" (1909), directed by D. W. Griffith. Charles Inslee looks at the beggar girl (Gladys Egan?) as Arthur Johnson emerges from the gambling house in "The Golden Louis" (1909), directed by D. W. Griffith. Charles Inslee bemoans the loss of the beggar girl (Gladys Egan?) 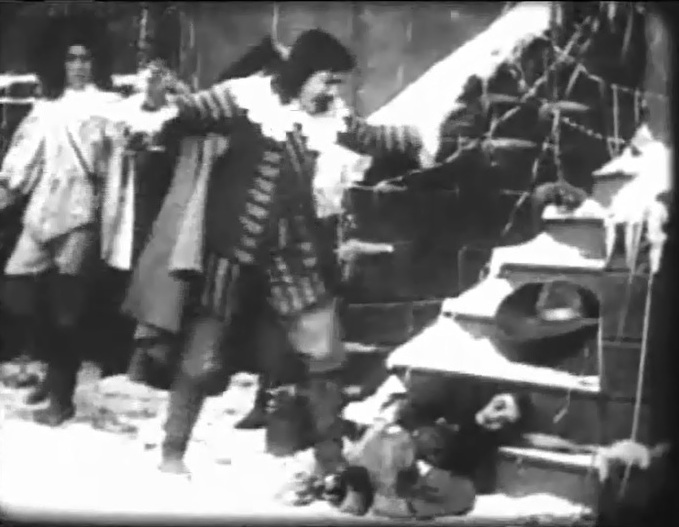 as Arthur Johnson and other gamblers are not moved in "The Golden Louis" (1909), directed by D. W. Griffith.